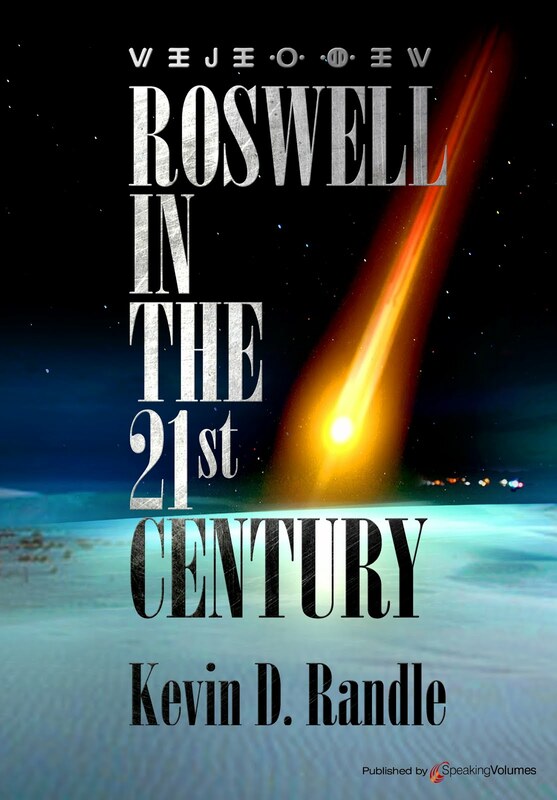 Yes, I put Project Blue Book, RB-47, and Moon Dust in the title and story because it is a good draw to the blog, but also because all these things are related in a way. I’ve been looking into the RB-47 case and this resulted in a review of the material that can be found in the Project Blue Book files. What I found strange was that Project Blue Book files about the RB-47 case contained two long documents that were written in 1971, or some 18 months to two years after Blue Book was officially closed. One was the long analysis written by Dr. James McDonald and the other was a rebuttal of sorts, written by Philip Klass. The project card, which identified the source of the UFO report as American Airlines Flight No. 655, carried a note to refer to McDonald’s report. A letter, contained in the file and dated January 1972 mentioned that a copy of Klass’ document was being sent on to the Project Blue Book Case File. So, in the years that followed the end of Blue Book, material was still being added to it. That might not be a bad thing and as near as I can tell, both documents seemed to have been added with almost no comment. This makes the file a better resource, but then, what else in the Blue Book Files has been altered over the years? I do know that while Blue Book was in operation that files were removed. Prior to Kenneth Arnold’s sighting of June 24, 1947, there had been other UFO reports. One of those was from meteorologists in Virginia in April 1947. There is no case file in Blue Book but there had been something about it at one point. In the Final Report on Project Grudge, these sightings were mentioned. All this means is that the Blue Book files were altered while the project was in operation, which isn’t necessarily a bad thing, except when they were taking material out never to be seen again. In the RB-47 case, there are contradictions that were not resolved by the Air Force investigators which demonstrate the level of concern for the truth they displayed in 1957. According to the interview with Major Lewis Chase, the pilot of the RB-47, the ground radar station known as UTAH (Duncanville, Texas), a CIRVIS report, as required by regulations, was made of the radar sighting of a UFO. However, a TELEX in the files seems to show that no such report was made. Although the TELEX has been redacted, after a fashion, and the statement about the radar sighting is somewhat obscured, it seems to prove that no ground radar sighting was made at UTAH. But the question is if the two statements are mutually exclusive. Chase referred specifically to a CIRVIS report and was told that one had been filed. The TELEX doesn’t mention CIRVIS, only that the ground-based radar didn’t track the UFO. To this point I have been unable to find a CIRVIS report, which probably means that one was not filed. That question, though, remains unanswered and I continue the search. Finally, as mentioned before, as I was searching for other things in the Blue Book files, I found references to Moon Dust. This demonstrates that Moon Dust did have a UFO component and that it was used in some cases for UFO research. All the cases I have located can be explained in the mundane or are of observations that were so fleeting and so vague to be nearly useless. There are a few references, just four or five that I have found and that is all. These cases take place just a couple of years after the RB-47 sighting. In other words, Moon Dust cases did, for a short period, find their way to Blue Book but after those few months, nothing else is mentioned, as far as I can find now. This just proves that after all these years since the Project Blue Book files made their way into the public arena, there are still nuggets to be found. There are more than 12,000 cases in the files, and thousands of pages of other documents, reports, memos, directives, and administrative materials. Even after more than thirty years, they haven’t been fully researched. Oh, and just to be clear on this, I don’t see anything nefarious in the additions of the McDonald and Klass documents to the files, only that it is curious. Over the last several weeks I have been looking into the RB-47 UFO sighting from July 17, 1957. It is an interesting case with the possibility of multiple chains of evidence but that is a discussion for another time. Right now I’m more interested in the problem of original sources. Well, I recognized the report because this aspect had been presented in some of the RB-47 case notes I had seen and was actually connected to it. The footnote didn’t provide much illumination. It took me to Timothy Good’s 1988 book, Above Top Secret and page 283. His footnote cited Coral and Jim Lorenzen in UFOs: The Whole Story which was published in 1969. They mentioned it on page 79 in the Signet paperback. I didn’t have this book in my library and the reason seemed to be that I spent most of 1969 outside the United States. I didn’t have the opportunity to see it. But, knowing Coral Lorenzen and the way she created her books, I thought that there might be a mention of this in The APRO Bulletin. I checked the September 1957 issue and on page three found another reference, which would be indirectly, I believe, the original source of the quotes by Dolan and Good. Well, that wasn’t exactly true. In the original reports found in the Project Blue Book file, it was suggested that the other aircraft was a B-36 but there were none of those in the area at the time which doesn’t, of course, eliminate all aircraft. The El Paso newspapers, not to mention the Blue Book files, establish that American Airlines Flight No. 655, did serve to avoid another object. Two passengers were injured, and this, because it was a near miss, required documentation, reports and investigation. The mysterious object in the near miss was American Airlines Flight No. 966. Brad Sparks interviewed American Airlines Director of Operations Larry L. Strain on February 3, 1976, who said that both Bachner and the captain of 966, T. A. Hinson, agreed in their written statements on file that they had been involved in the near miss on July 17. In other words, the pilots of both aircraft had been found and both had submitted the required documentation for a near miss, which allowed investigators to identify the specific flights. It is certain that this “UFO” case has been identified. Coral Lorenzen can be forgiven because, when she prepared The APRO Bulletin, the information was that Flight 655 had nearly missed an unidentified object. The solution wasn’t provided until some months later. That solution was part of the Blue Book file which was not only classified in 1957 and in 1969 when her book was published, but misfiled so that even the Condon Committee investigators couldn’t find it in the late 1960s. Klass referenced it in his 1974 book UFO’s Explained as part of his flawed analysis of the RB-47 case (which is a discussion for another time… but he puts Flight 966 in the traffic pattern at Love Field, Dallas when it was actually nearer El Paso). I found the problems with the sources by following the trail. I shouldn’t have had to do that. Other writers should have done it first when they cited the case. I found it all because I was attempting to verify, from original sources, what was claimed. I had an advantage, having read the various other accounts of the RB-47 incident that predated either Dolan’s or Good’s books but they should have found some of them as well. These entries refer, for the most part to the American Airlines flights and how they crept into this case. In the last few years I have tried to make the footnotes and citations as complete as possible. Quoting a single source that is not the original source doesn’t have the credibility that a footnote that refers to the original source or that provides information on a variety of sources has. And for those who had not been keeping score, it is clear that the Air Force explanation for the RB-47 case, that it was the American Airlines airplane does not work because the aircraft were nowhere near one another. At the time the crew of the RB-47 was reporting a visual UFO sighting, that airliner was more than four or five hundred miles away in El Paso, sitting on the ground. History (formerly the History Channel where they once actually examined some history) just finished its run of documentaries titled The Curse of Oak Island. This is the Nova Scotia location where it is alleged that pirates… or Knights Templar ... or Roger Bacon ... or some unknown person or persons buried something of great value centuries ago. For those who don’t know, sometime in the late 18th century, three teenage boys exploring Oak Island found a place where it seemed something might be buried. They dug down, found a layer of wooden planks, tore them out and dug some more finding additional layers of planks every ten feet or so. They never managed to dig deep enough to find out what was hidden there. They only had hand tools and physical strength to do it. Over the next 200 or so years, dozens have attempted to get to the bottom of what was termed the money pit. Somewhere around the 90 foot level, the pit began to fill with water, stopping the attempts to dig deeper. It was cleverly booby-trapped and has defied modern technology to recover the treasure. The rising and falling level of the water in the pit seemed to be related to the tides and that led to the discovery of a tunnel system that fed the sea water into the money pit blocking attempts to dig lower. Under the beach sand in a cove, a layer of coconut fiber was found which seem to have been used to keep the sand from packing and to keep the booby trap viable. A similar tunnel was found on the other side of the island as well, meaning it was a complicated system of traps. Various companies and consortiums have attempted to excavate the money pit over the years, some of them reaching down some 200 feet. Cameras have been lowered and video has been made. A few links of gold chain have been recovered, and even at today’s prices, it didn’t amount to much. Six people have died during these operations and the legend has it that seven must die before the money pit will yield its treasure. In the 1980s a corporation was formed to finally get to the treasure. They had some ten million dollars pledged for the operation, but the stock market collapse ended the attempt. From that point not much had been done, at least as far as I know. The latest attempt, reported over a series of programs for History, wasn’t much more successful than all those other tries and certainly didn’t add much to our knowledge of the money pit. Rick and Marty Lagina, who managed to gain control over much of the island, were behind this latest attempt. They screwed around showing us the same scenes over and over, they put a camera down one of the drill holes and claimed they had found an ax, a box, and a body, though it was difficult to make those things out. And that was similar to something that had been done decades earlier. They then went to one of the beaches that seems to be somewhat artificial and that has that layer of coconut fiber under the sand. When first discovered decades earlier, it had been dated to sometime before the money pit was discovered. Now there were new samples of the fiber that were tested using better equipment and methods. This time it was dated to sometime in the 13th or 14th century, which is interesting but not proof of much of anything. We already knew that it was old. The Lagina Brothers talked to a fellow who using an original folio of Shakespeare and a link to a constellation which was then applied to Oak Island fit into the discovery of some apparently artificially places stones. It seemed to be a stretch to me. Going from the work of Shakespeare to a constellation then then onto some landmarks on the island was a few too many leaps of logic. I’m not sure what they were trying to prove and thought of this as oat meal… meaning that it was filler to expand the series one more episode. It was just too much of a stretch. Anyway, one of the points of this guy’s heavenly system seemed to be hidden in a swamp and they decided that they needed to drain the swamp, something no one else had ever thought of, which, of course, didn’t surprise me. So away they went, draining the swamp but having to comply with environmental regulations about how it could be done. They never did manage to completely drain it, but they did seem to remove quite a bit of water leaving a muddy quagmire that they seemed only too happy to muck about in (yes, I used that term on purpose). They spent time using metal detectors and then diving into the mud. They spent a lot of time pulling vegetation out of the mud, found some flat stones, and then a copper coin. They were able to learn that it was an old Spanish coin which, when all is said and done, this was their big discovery. One Spanish coin that was neither gold nor silver but copper which is something, I suppose. In the end, they found nothing that wasn’t already known. They didn’t add to our knowledge of what might be hidden on Oak Island, though I am becoming convinced that there is nothing there to be found. Maybe there was once, but whoever buried probably retrieved it. But, what the heck, it’s the money of History and the Lagina brothers and if they want to spend their money on this quest, then more power to them. I wish them well, I hope to learn what they find if anything, and wonder if they’ll be back for a new season. If not, it’ll be just one more on-going mystery that isn’t all that important. As most of you know, I spent some time as an Air Force intelligence officer. I was assigned to the 928th Tactical Airlift Group which was part of the 440th Tactical Airlift Group which was headquartered at General Billy Mitchell Field in Milwaukee, Wisconsin. During that time, there was an intelligence conference held in Milwaukee (and of no importance at all, it was here, late at night I first saw ZULU). The relevance of all this somewhat personal information will become obvious in a moment. 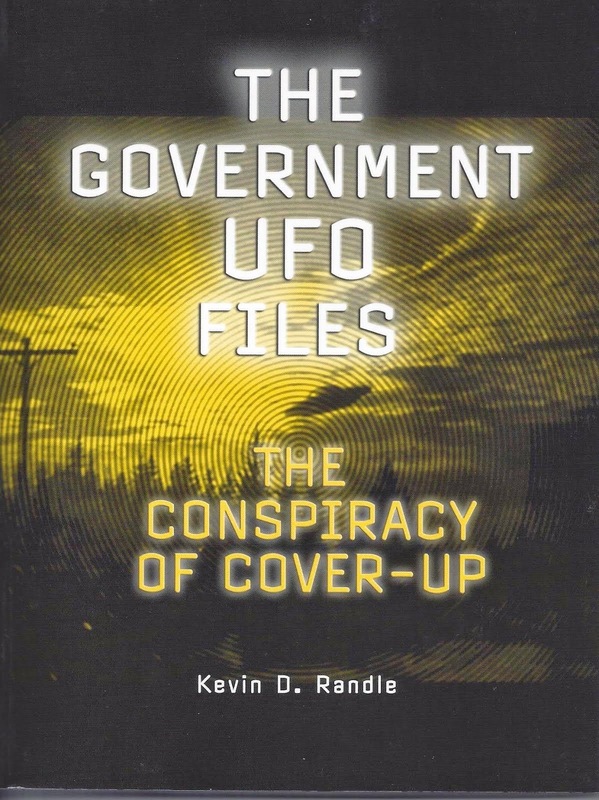 Others, such as the International UFO Bureau suggested that a UFO reported by James McDivitt was somehow tied to the disappearance of the aircraft. At the time McDivitt and Ed White were on a Gemini mission in orbit and those at the International UFO Bureau thought that the astronauts might have seen the UFO that captured the aircraft. McDivit would later point out that UFO meant unidentified flying object and nothing more, at least to him at the time. A search was launched when the aircraft failed to arrive at its destination and radio contact could not be established. According to Triangle lore, the search was called off on June 10 when no clues were found. But that changed on June 12, 1965 when debris, stenciled with serial numbers and the tail number of the aircraft was recovered. Although this debris was not from the outside structure of the aircraft, it was equipment that was carried in it. About a month later a wheel chock, stenciled with the tail number was found near Acklins Island, in the general area where the first wreckage was located. So, wreckage was found, though the aircraft itself was not. 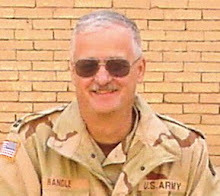 Now, as a member of the 928th TAG, I was able to talk with those at the 440th (see how all this comes together eventually?). They gave me some additional information and then asked if I wanted to see some of the debris, which they still had there. Naturally, I said that I did and was shown a few scraps that had been recovered. These officers suggested that the C-119 lost an engine just after that final position report had been made. There was a corresponding electrical failure at the time, which was not all that unusual, according to what they told me. The pilots would have had no lights and no radio. And this particular aircraft had a history of electrical system problems. Given all that and that it was night and that it is often difficult to distinguish the horizon at night over water especially if there was a light haze (which is to say that the weather was clear but that a light haze tended to blend the sea with the sky so that there is not a definitive line, the deck was stacked against them. In other words, this was an aircraft accident that wouldn’t have been noticed by anyone but the friends and family had it not happened in the geographic confines of the Bermuda Triangle. But the plane didn’t disappear without a trace as has been suggested. Wreckage was found, and found along the airways where it would be expected. For me, this is always a test case. If those writing Triangle lore were not aware of these facts, and remember, I actually talked to people who were assigned to the unit when the accident occurred and I saw some of the wreckage recovered, it suggests that those others’ research is lacking. There is an explanation here and we don’t need to venture into the paranormal to find it. Tragic though it was it really has nothing to do with the Bermuda Triangle other than as a geographic location. Oh, and that radio message picked up in New York. Radio skip is a well-known phenomenon. Back in the olden days of analog TV, I once watched thirty or forty minutes broadcast from Miami before the atmospherics changed and I lost the signal. I was more than 1300 miles from Miami at the time. This is an irrelevant fact that proves nothing other than radio waves sometimes bounce far and wide. In the category of “What Isn’t News,” we have the ABC Evening News on Sunday night (February 9) telling us that scientists have come up with a solution for the Bermuda Triangle. Really? I thought it had been explained more than thirty-five years ago, and in fact, on this very blog several years ago I offered an explanation that I thought was reasonable. Here’s the deal. Back in the mid-1970s, when I was much younger and believed that those writing books and magazine articles actually engaged in original research and first-hand reporting, I thought there was something mysterious about the Bermuda Triangle. One day, in the local bookstore, I saw a paperback copy of Lawrence David Kusche’s book, The Bermuda Triangle – Solved (copyright 1975). I bought one because I believed that if I was to argue successfully against the Skeptics, I should know what they had to say. Kusche convinced me that he had solved the mystery. His book, unlike so many others, didn’t rely on what others had reported. He went to the original source material. He found the original insurance papers, the original investigations and the original newspaper articles. He named names and sources so that those of us who followed wouldn’t have to sort through piles of irrelevant material, but could see, for ourselves, exactly what was going on and why Kusche was right when so many others were wrong. I have found that too often others writing on a topic will look at what the other writers have said, but do not search the original sources to verify the information. Case in point? The disappearance of Oliver Lerch from South Bend, Indiana. Morris K. Jessup, in his book, The Case for the UFO, told us that the facts of the Lerch disappearance were written down at the police department for anyone who cared to look. Well, I cared to look, and the South Bend police told me that their records didn’t go back into the 1880s. There had been a fire in the 1920s that destroyed most of them. Jessup was wrong about this and I don’t know where he got his information but it was repeated in several other books. Oh, I checked with the newspapers and searched for other documentation, but none ever surfaced to prove the case. In fact, the available documentation showed that nothing like it had ever happened in the South Bend area. The Lerch story was a hoax but it had been reported as fact by those others who apparently didn’t care to look. And this is the situation with the Bermuda Triangle. Each mistake was copied by the next writer until it seemed that something truly mysterious was happening in the Bermuda Triangle. Kusche, on the other hand, checked the original sources and offered plausible and well researched explanations for some of the most mysterious of the disappearances. In one incredible case, the ship hadn’t disappeared in the Bermuda Triangle. It had been lost in the Pacific Ocean. And now ABC News tells us they have the solution. It is bad weather in the area. Well, of course, that played a role in many the disasters, but the real solution is all those others who didn’t bother to do any original research. It is those others who didn’t look at weather records and didn’t look at official reports and didn’t bother with the insurance papers. That was the source of the mystery and that is what supplied the solution. I just thought it was strange that in a news broadcast that has, what, twenty-two minutes to give us the important information of the day, would waste time telling us something we’d known since the middle of the 1970s. I wonder if they heard about the Internet? That might have told them something about the case that would have suggested that this wasn’t news. I am often surprised at the support that some alleged UFO witnesses manage gain in the face of their repeated deceptions. Admitted hoaxes are still reported as true with the added claim that the CIA forced the change as a way of explaining that new infomation. Failure to supply any documentation or evidence for their claims is ignored. And even with that, there are those who continue to support the most outrageous of claims. Even the ridiculous words of those witnesses don’t seem to change opinions as the situations develop. What I found particularly funny was that Corso seemed to explain how anthropomorphic dummies used in high altitude parachuting experiments could fall in 1957 and be part of the Roswell UFO crash in 1947(which is not to say that he mentioned this specifically, only that his tale would explain it). These aliens, you see, are traveling through time, which explains how they manage the vast distances between stars in our section of the galaxy. As they were entering our time stream in 1947, these two craft collided with one falling in 1947 but the other not coming down until 1957. So, there was a collision, at least according to Corso, but the two craft didn’t fall in the same location or at the same time. The first fell where Mack Brazel found it and the second fell some ten years later and in the vicinity of the White Sands Missile Range… at least that seems to be what Corso was suggesting. I’m not sure how he linked the two events, but that is what he said. And the one that cracked me up was Corso’s claim that the Soviets and Joseph Stalin were interested in the Roswell crash. It seems, though the writing is sometimes confusing, that in 1947, Stalin created a review board of highly trained and respected scientists to investigate this UFO crash. Assigned to the board was Yuri Gagarin… who, if Corso had bothered to check, he would have learned was just 13 in 1947. The point here is that we don’t know what else has he invented. Those who support Corso would be better served by offering evidence of his claims rather than attacking those of us who ask the tough questions about all that he has said. At any rate, it will be interesting to see the spin for this unfiltered manuscript provided by Corso. It is a quite revealing document. It moves even farther into the world of Fantasy Land. It gives us an insight that we didn’t have and gives us even less reason to believe Corso’s wild tales. Nearly everyone agrees that many of the tales told by Philip J. Corso are not grounded in reality. When challenged, he often backtracked, blamed his co-author, or said that he hadn’t seen the galleys (we call them page proofs now) of the book. In any case, he has little credibility… especially after the great switching of the Introduction caper (meaning that Strom Thurman wrote the introduction for a different book, and yes, I have even more evidence for that… In fact, in a document entitled Alien Source: The Roswell UFO Crash and Today’s Technological Miracles which was a proposal for his book The Day After Roswell, it said, “Sen. Strom Thurmond wrote a glowing introduction to Col. Corso’s first book, I Walked With Giants: My Career in Military Intelligence.” But, of course, there was no such book and the “glowing introduction” became part of The Day After Roswell. Bait and Switch? Probably more like there was no first book and they had a perfectly good introduction. Why get rid of it? Just put it in the other book. ). It is interesting to see how Corso deals with some tough questions. We have Carol to thank for this short glimpse into the tales told by Corso.